The recent news of a remake of TMNT: Turtles in Time has us all shell-shocked here at Co-Optimus. 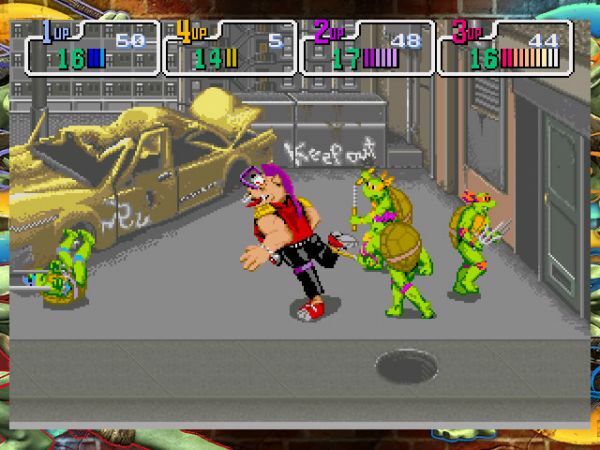 Turtles in Time may be the greatest Turtles game, but it wasn't the first co-op TMNT title. That honor belongs to Teenage Mutant Ninja Turtles: The Arcade Game. It was first released in arcades in 1989, and ported to the NES a year later as TMNT II: The Arcade Game. 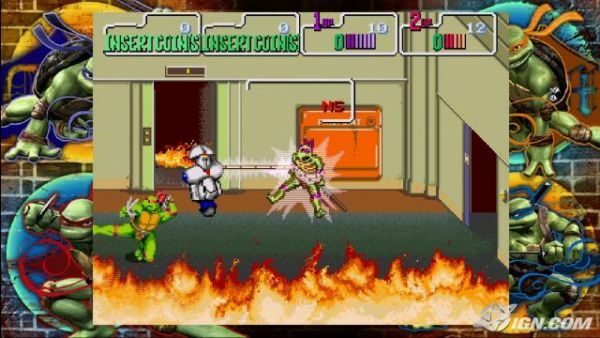 Back in 2007, the game hit Xbox Live Arcade, this time called TMNT 1989 Classic Arcade. 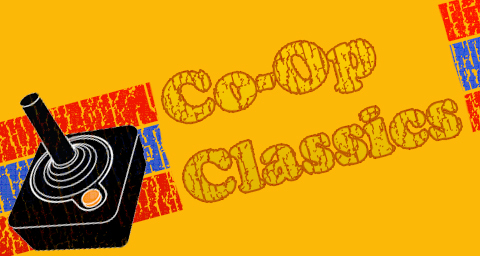 For Co-Op Classics this week, we'll kick some shell and take a look at this version of the game. My love for Ninja Turtles is fairly well documented on this site, and when a new movie based on the franchise came out in 2007, I was definitely excited. As a parent, sharing things with my kids that I enjoyed when I was their age is one of my greatest pleasures. The older, live action Turtles movies were cheesy fun, for their time, and the boys and I were all excited to see the new movie. When we saw it, I was a bit disappointed. It was a decent movie, but a bit more serious and dark in tone than I was expecting. The kids liked it just fine, and the next time we went to the store, they begged for the Xbox 360 version of the movie tie in game. Imagine our shock upon learning that TMNT the game was single player only! No co-op in a Ninja Turtles game? Inconceivable! The next morning was a Saturday, and as is our custom, we watched a few cartoons and played Xbox while in our PJs. On a whim, I checked the Marketplace and lo and behold, there was a TMNT game available! I ponied up for the points and very soon, we were slugging it out as our favorite turtles. I had no clear memories of playing the first TMNT arcade game, though I'm sure I did at some point before Turtles in Time was released. The port to the 360 was excellent; everything was nice and pixelly even on a modern TV. The only jarring thing was seeing the 2007 movie characters on the sides of the screen. The darker look of those turtles was out of place when compared to the bright, colorful graphics of the rest of the game. All four turtles are here, and play just like you'd expect. Leoonardo wields katana blades, Ralph sais, Michaelangelo has a pair of nunchuks, and Donatello his bo staff. The turtles move in pseudo 3D, and can jump or attack. There is no real difference between the turtles as far as gameplay goes, quite unlike the original NES Turtles game. Each one is equally adept at bashing in the heads of the enemies. You won't find a huge variety of enemies in this game; most all of the bad guys are nameless Foot Clan soldiers,differentiated only by color. 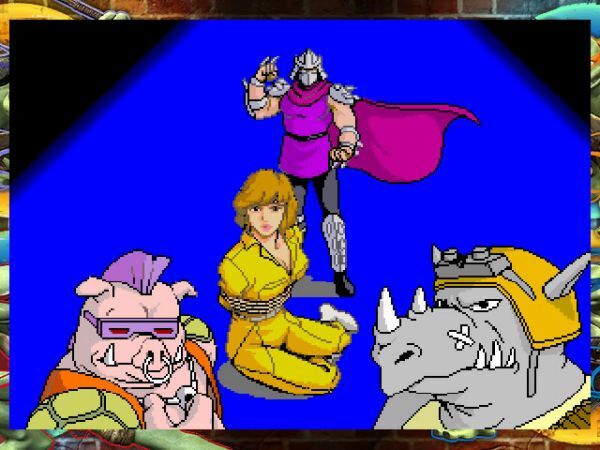 Shredder, Bebop, Rocksteady , and many other villains from the 80s TV show make appearances as bosses. The boss battles are fairly straightforward and don't require much strategy at all. To the modern gamer, TMNT 1989 Classic Arcade might seem primitive, and it is, but at least it has co-op! The boys and I had a great time playing through the game. I got dibs on my favorite turtle, Leo, and the boys swapped between the other three at will. The old familiar co-op strategies worked great; double teaming enemies from opposite sides, splitting the screen up between the three of us... the Foot Clan dropped like flies. A few old pleasures I remembered were just as sweet when shared with my kids. Falling into manholes, launching a fire hydrant's spray at the baddies, and rushing the pizza bring a smile to your face. After about an hour, maybe a bit longer after a donut break, Shredder was defeated and the game was over. We high fived, and inwardly I wished the game could have gone on even longer, but those old arcade games weren't designed to last forever. A few days later, I took the kids to the barbershop. Our barber is a gamer too, and he asked us what we were playing lately. I mentioned we had just played the TMNT arcade game. "Oh yeah, I remember that one. You guys seen the new movie?" We nodded. "I saw the game for the new one at the store, thought about picking it up, but I saw it was just one player! What's the fun in that?" Clearly, our barber is a fan of co-op too! Page created in 0.8104 seconds.